Autumn is the time of year when we should thinking about ordering and planting new fruit trees for next year. Advances in grafting techniques mean that an ever increasing range of varieties are now available as smaller trees. The rootstock onto which the fruit tree is grafted will determine how big it ill grow and how soon it will crop after planting. Rootstock will vary for different types of fruit. M9 – Commonly used dwarfing rootstock. Not a vigorous rootstock and does not produce a strong root system. Trees only grow to about 1.5 – 2m. It is only good where the soil is very fertile and must be staked to avoid being damaged by wind. The M9 rootstock does require a lot of care. It is known to crop sooner than other rootstocks but the crop is usually noted to be quite poor. M27 – Ideal for the patio. A very dwarf tree will be produced, only growing to around 6 -8 feet in height and can be planted as little as 4 feet apart. It is suited to small gardens, containers and is suitable for stepover training. It must have excellent fertile soil and growing conditions with no competition from grass or weeds in order to get a good crop. Suitable for most bush and trained production bu is very prone to suckering and will not do well on poorly drained sites. MM106 – Half standard ideal for garden use. The MM106 is a very versatile rootstock, producing an apple tree about 12 – 15 feet high which can be kept lower with careful pruning. The trees start to crop in two years from planting and are usually up to full cropping capacity after 5 or 6 years. The versatility of the MM106 rootstock will allow it to be grown as a small bush or tree as well as being trained into cordons and espaliers. generally produces a good sturdy root system and therefore does not require staking. Pyrus Communis – A very vigorous form, good for producing large long lived trees. Totally unsuitable for the small garden. 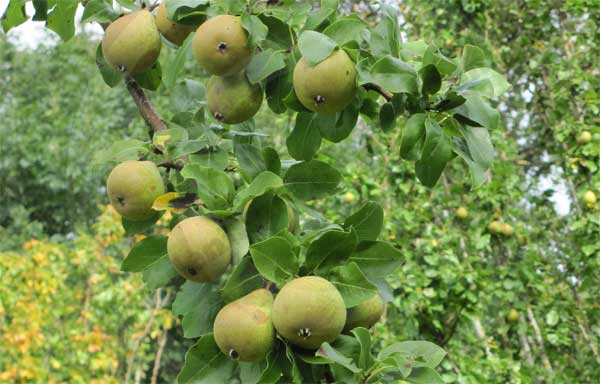 Quince A – This is a semi-vigorous rootstock and is suitable for producing large bushes and espalier trained plants. Quince C – By far the most popular rootstock used today, as it is a less vigorous, semi dwarfing variety. Ideal for small bush, cordon or intensive orchards. If you are intending to grow your apples or pears as cordons or espaliers, it will be necessary to select varieties that are not “tip bearers”. A prime example of a tip bearer is Bramley’s seedling. The simple nature of the pruning required for cordon or espallier training would render tip bearer’s virtually unproductive. In a garden or small orchard you will need to know which pollination group the trees fall into and this is determined by the time of year that they flower. Some trees are self fertile but many will need another tree of the same fruit type (but not necessarily the same variety) in order to produce fruit. 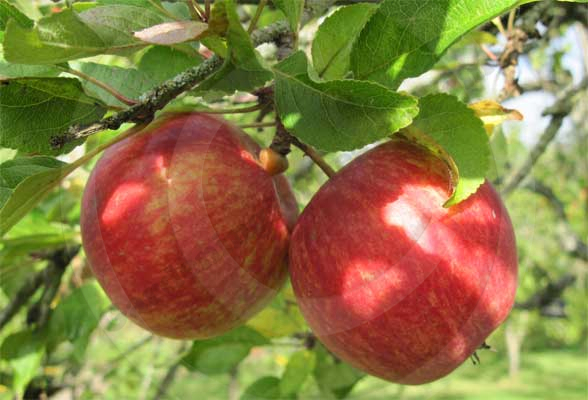 Therefore, an apple such as Charles Ross which falls into flowering group 1 will require another from the same group planted nearby. In a suburban setting, there may be a pollinator only a few doors away in a neighbours garden, but in a more rural environment it is always wise to plant more than one apple of the same group. Crab apples also make good pollinator trees. 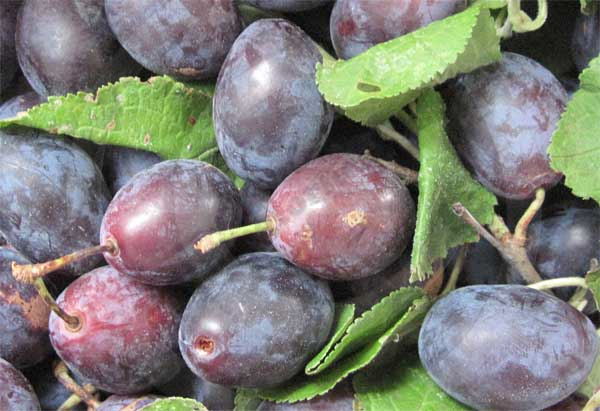 Plums, Damsons, Gages, Peaches and Nectarines. St Julian A – Most common rootstock. Will produce a medium sized garden tree reaching a height of 4 metres when mature. Is a selected St Julian seedling. A dwarfing rootstock which will reach a height of 3 metres when mature. Produces large, vigorous trees. Not to be used in gardens or small orchards. Commonly grown on two types of rootstock for the garden and small orchard. Introduced in the 1970’s, this rootstock will produce a tree of about 4 metres tall on maturity. A slightly less vigorous rootstock, producing a cherry tree at about 3 metres tall on maturity. Two of the most common causes of fruit failure, especially in more northern regions is the damage caused by frost and wind. Blossoms of fruit trees tend to appear from March through to May and trees which flower early can easily have their blossoms destroyed by frost. In these cases, the tree will bear little or no fruit in the same year. Wind can be destructive to the blossom and developing fruits and is the reason that many older orchards were often grown in a walled garden. To limit the damage from the frost, choose varieties which will flower later in the season and be prepared to protect young trees with horticultural fleece if frost should threaten. Be sure to remove fleece as early as possible the next day to allow pollinating insects to do their work. Without pollination, there will be no fruit yield. Wind damage can be reduced by planting out of prevailing winds or making sure there is some sort of windbreak from other trees, hedging or even walls if you are in an exposed site. You can even create an artificial windbreak, using windbreak netting on posts. Always be vigilant when growing fruit trees for pests and diseases which may attack the trees, blossom or flowers. Especially important if many trees are grown in close proximity or those which may be more susceptible such as those grown in containers. Keep pruning equipment clean and disinfected. Never use pruners that have been used to cut out diseases such as canker on the same or another plant without disinfecting thoroughly. Dwarfing rootstock is less vigorous than it’s lager counterparts and does not tend to produce the same extensive root system. Smaller fruit trees require all the nutrients they can get from the soil and will easily succumb to competition from weeds and grass. 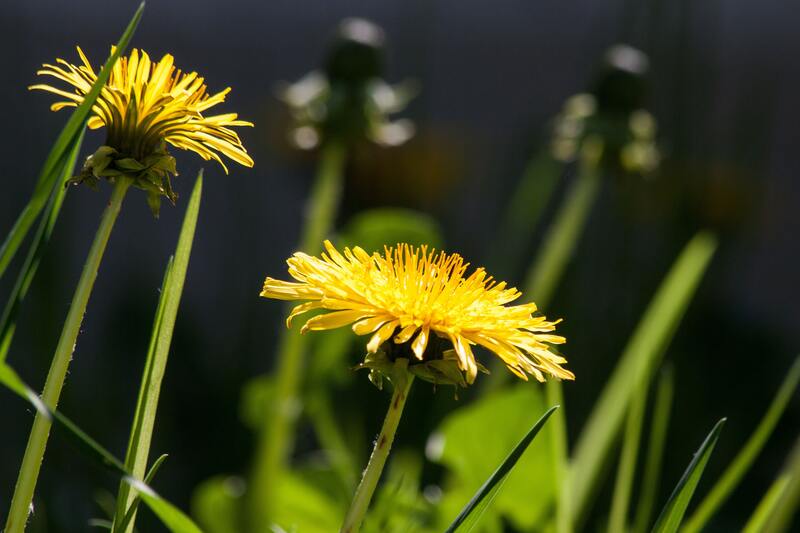 Keep the garden weed free for the first two years and use mulches as much as possible. Always ensure the ground is well prepared before planting, testing the soil and adding fertiliser where needed. Planting young trees with a mycorrhizal fungus helps establish strong root growth. Pruning Advice from RHS Harlow Carr. Adam’s ApplesSuppliers of young trees and other fruit. This website also has a great deal of useful advice for the beginner on planting and caring for your new orchard.